Leaf is pleased to bring a new product to market in 2018 focused on celebrating everything amazing in sport cards. 2018 LEAF BEST OF SPORTS! Like its successful predecessors, this release features the best vintage cards, rookie cards, autographed cards and premium memorabilia cards. 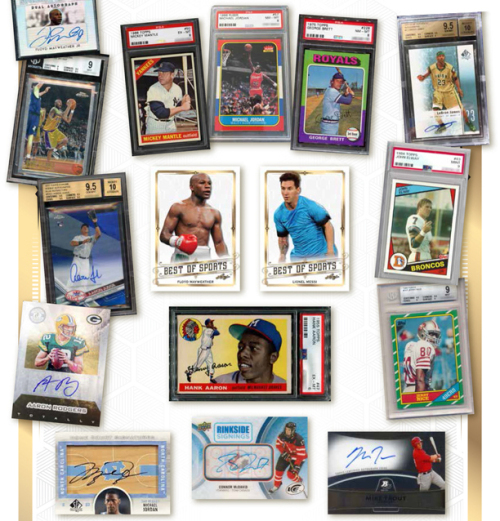 Covering virtually every sport ever featured on trading cards, this release will provide an exciting experience where virtually anything could be uncovered by the collector. With a new more affordable price point, this release is designed to give collectors a more affordable entry point with the same excitement they have come to know and love.